Did Dan Poulter really "succeed in the fight to keep open Stradbroke Post Office"? As Tory MPs go I must admit to quite liking Dan Poulter (or Dr Dan as he likes to be known). I think I liked him more before he went on the Government pay roll as a health minister but he is reasonably active in the constituency. 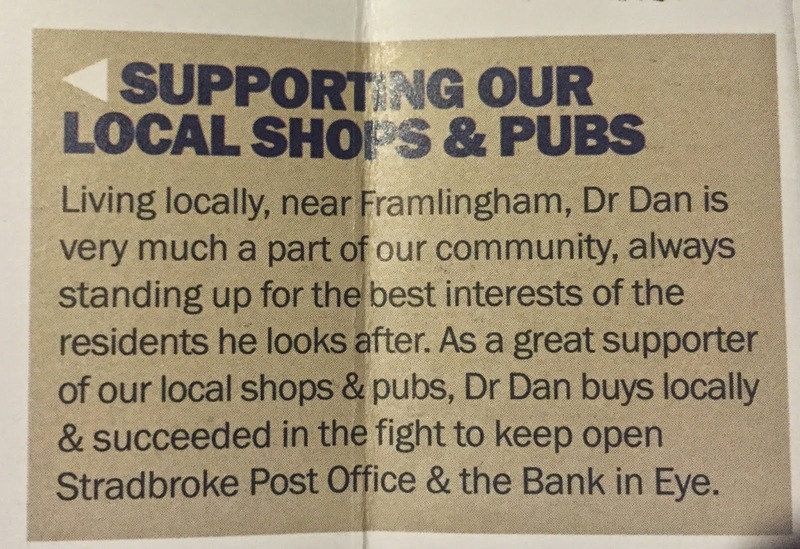 Now I don't know much about the Bank in Eye but I do know a lot about the post office in Stradbroke. First of all it didn't stay open. It closed for over a year and then was re-opened in a new location as part of the library. Secondly as far as I know Dr Dan didn't play any part at all in this. He might for all I know have supported it with a letter or some such (and that is really appreciated) but certainly he didn't "succeed in a fight". 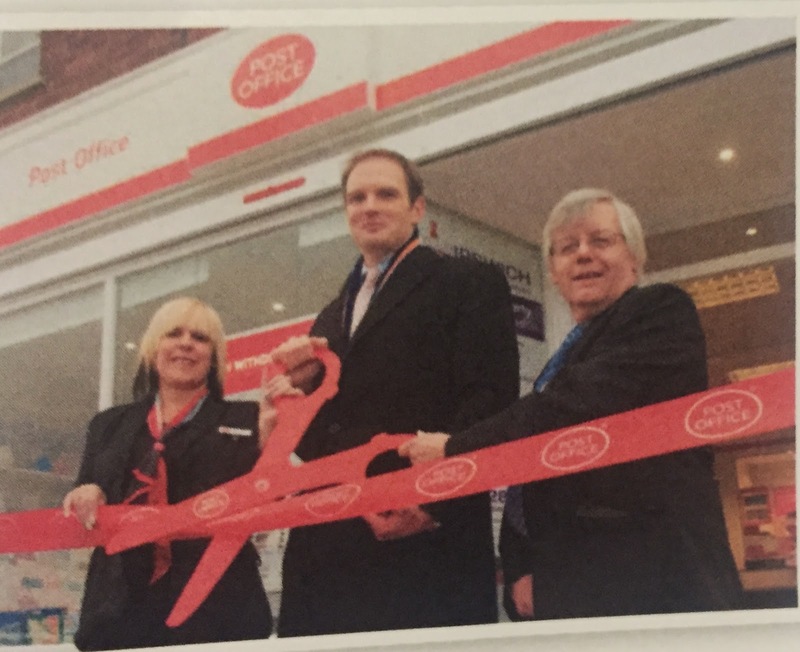 The comments above are made worse by this photo which shows Dr Dan opening a post office. Except it isn't the one at Stradbroke as he wasn't even at the opening. To be fair to him I don't think he was invited as he wasn't really involved! Dan Poulter really should be more careful with the claims he makes. To make up for it, as he says he buys locally, I am expecting to see him come and buy a lot of stamps after the election and perhaps have a quiet word with Maureen our post office and library manager to apologise for this! He could perhaps take a quick look at the situation with "superfast" broadband in Stradbroke whilst he is at it as he claims to be responsible for delivering that too! When will Stradbroke get "superfast" broadband?